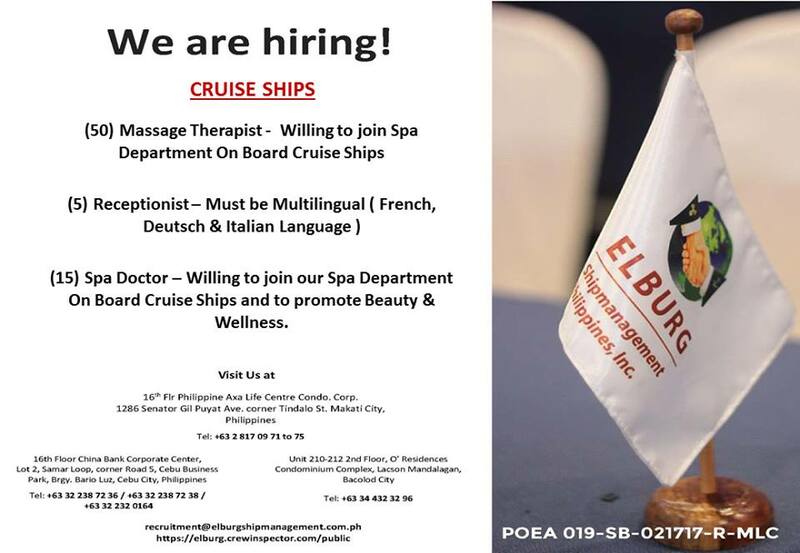 SEAMAN JOBS INFO - Elburg Ship Management available hiring recruitment crew for cruise ship joining onboard A.S.A.P. (15) Spa Doctor - Willing to join spa department onboard cruise ships and promote beauty & wellness. 16 Floor Philippine Axa Life Centre Condro. Corp 1286 Senator Gil Puyat Ave. Corner Tindalo St. Makati City - Philippines. 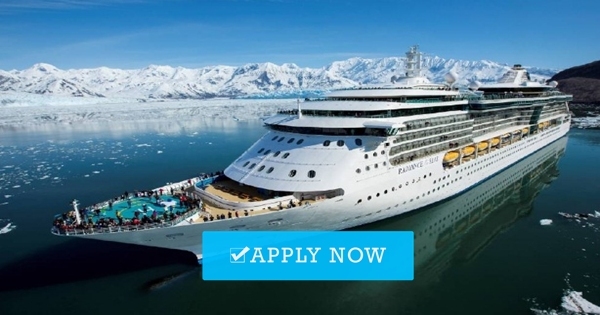 0 Response to "Hiring Crew For Cruise Ship"